A Fiber-loving Friend recently went to South Africa for a wedding. While there, she made a point of doing some sight-seeing in some local fabric shops. She was looking for shweshwe. (Click the link for the history of this fascinating fabric). At the second store, she found some. She brought back a selection and shared them with me--a thank-you for my part in sitting her cats. Lucky me!! I'd never heard of shweshwe. And you need to know a bit about it to love it! Right off the bolt the fabric is so stiff it can stand at attention! It is heavily starched and has a strong, though not unpleasant smell. 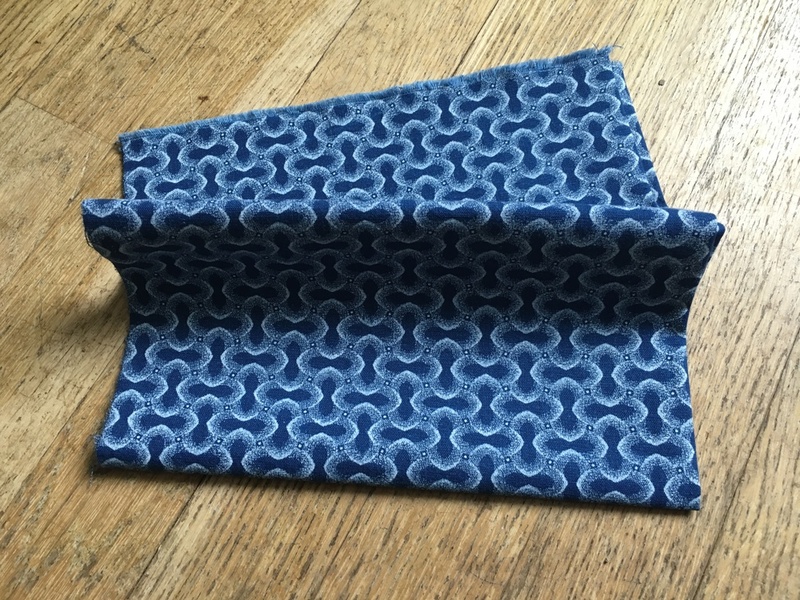 Apparently starched fabric is a lot easier sew if you are using a foot-powered treadle sewing machine. (A great example of understanding the needs of your customer)! Happily, once laundered, the fabric is soft as butter. 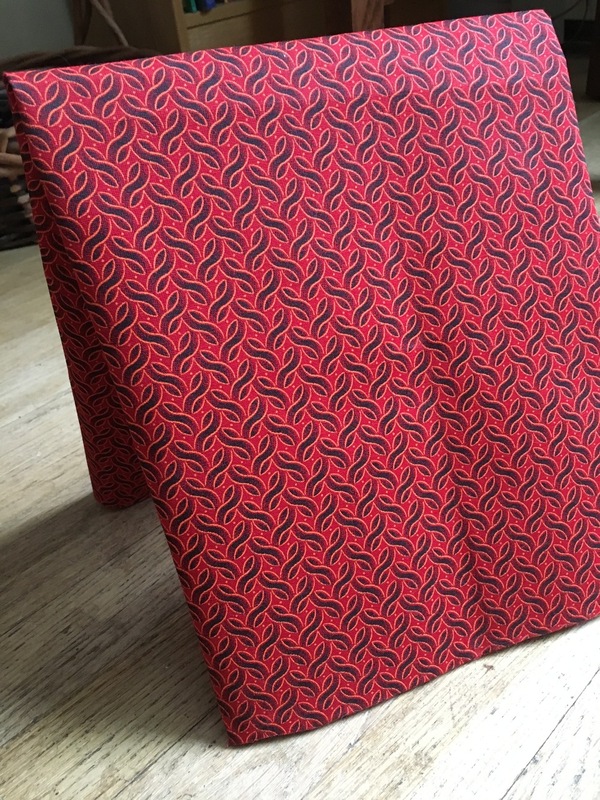 The red and black fabric on the left below is how the starched fabric looks coming from the manufacturer. On the right is the fabric after it has been washed. Shweshwe is know for indigo prints. But they also produce a variety of other colors. Click this link to Da Gama Textiles to see their color lines. (If you click on the photos they will open up to show many more designs). 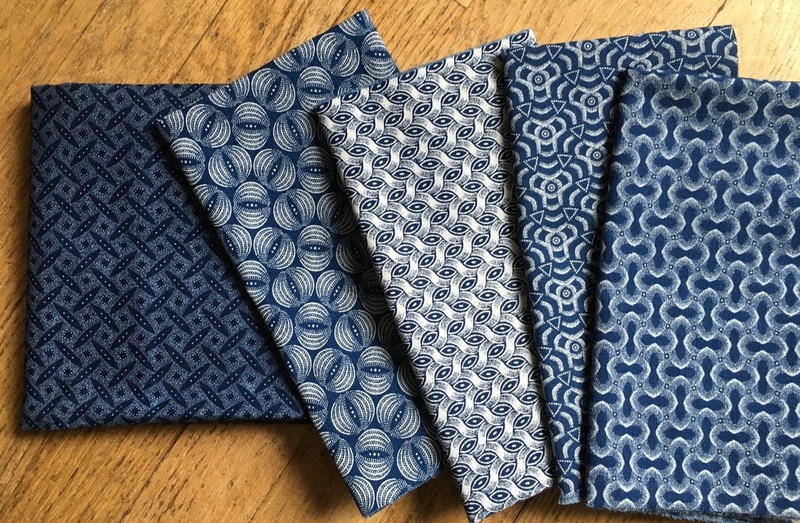 My friend brought me the two fabrics from the turquoise line shown above, the red and black fabric and the indigo on the far left in the top photo. Amazing!! Not brave enough to use them all in one project, I decided to see if I could find some additional prints. I discovered that the Etsy shop, Yardwork, based in NY, carries some shweshwe fabrics. That's were I purchased the other indigo prints. (The owner sells them prewashed so theycome soft and ready to use which is really nice). Another American Etsy shop, More Love Mama, also carries shweshwe fabrics. One more thing: there is also something wonderful on the back of these fabrics. The manufacturer prints their trade mark on the reverse side. Da Gama Textile's trademark is "Three Cats". Isn't it great? 3 cats! That was also the exact number of cats I helped to cat-sit for my friend while she was away! Perfect! !